Total hip replacement (THR) is a surgical procedure to replace a damaged hip joint with a new artificial/prosthetic implant. Physical therapy is essential before and after surgery in order to minimize complications. Therapy also reduces recovery time and restores hip joint function as quickly as possible. In the event of a scheduled THR surgery, physical therapy can speed up healing and rehabilitation of the hip joint before and after surgery. Resistance training to build muscle strength. Cold compress and heat to relax muscle spasms. Low-level laser use for muscle and connective tissue injuries. Functional electrical stimulation to restore muscle strength. Your physical therapist understands that when it comes to your recovery, every little detail matters. That is the reason your therapist will conduct a detailed initial evaluation. This includes objective measurements of the strength, flexibility, and mobility of the hip joints. The physical therapist will identify functional limitations of the patient and establish a gap between the prior level of function and intended level of function. Once the physical therapist determines this gap and analyzes diagnostic tests like X-rays and MRI scans, an effective treatment program can be created. This consists of specific procedures and modalities. 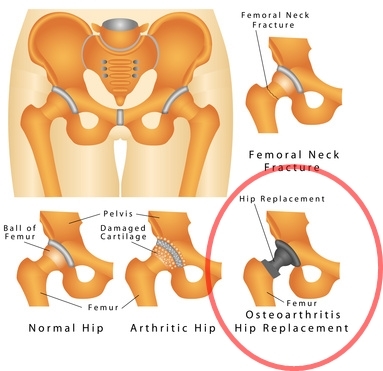 Treatment for mild hip problems is generally conservative. It includes medications and physical therapy. Physical therapy can also help before and after THR surgery. After a brief period of hospitalization, the patient may need several weeks, potentially months of physical therapy to achieve full recovery. Call us today and learn more about what physical therapy can do for you.